For those longterm Disney Hipster Blog readers, you might be aware of two things: I love Animal Kingdom Lodge...and I love Disney background music loops. When those two things come together I'm basically the happiest person on earth. You may also recall the time I compiled both the Jambo House music loop, as well as the Kidani Village music loop. Heck, I even put together the Animal Kingdom Lodge Christmas loop. Well, today I'm thrilled for yet another Animal Kingdom Lodge loop...kind of. Remember this video below? That is a snippet from the music playing on the Arusha Rock Overlook that we shared in 2012...a snippet in which I had to crawl through a bush, find a speaker, and record via my phone. Its not all that long, and the quality isn't great...but it did confirm a completely separate loop from the interior of AKL. Last October, yes almost a year ago, I spent a few hours on the overlook. I drank beer, and watched as the animals went about their day on the savanna...but most importantly I spent the day "Shazaming" the entire loop. It was tedious work, sitting in my favorite place in the world and drinking beer, but somebody had to do it! So why did I wait this long to blog about this, and bring this loop to life? 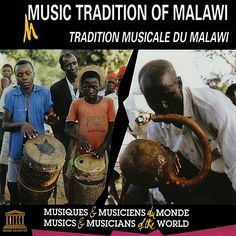 As it turns out almost all of this loop came from one source the Smithsonian Folkways Music Traditions Of Malawi...which had been out of print/unavailable. However, Smithsonian Folkways have been re-releasing their entire catalog over the course of a painfully long time. Oh well, the time has come and that record is finally available to purchase. So Andy, why aren't you making a Youtube video with the Arusha Rock Overlook loop? Good question. First of all, not everything on this loop comes from Music Traditions Of Malawi...though I'm pretty sure the entire album does fit within the loop, there are a few scattered sources found among it. Also, unlike this loop, the three interior loops are from literally dozens of sources and artists. Therefor my compilations were to make the enjoyment of them much easier for fans of the lodge...where as the Arusha loop is basically already compiled in one nice package, available on iTunes. So there you go. Mystery solved as to why I never posted anything about this loop after that scattershot "bush recording" in 2012. If you're a fan of AKL, do yourself the favor and buy this album...knowing that it makes up the vast majority of the outside music loop. Make sure you follow along: Instagram, Twitter, Facebook, Youtube.